This Easy Roasted Leek and Asparagus Salad recipe makes a perfect spring side dish. 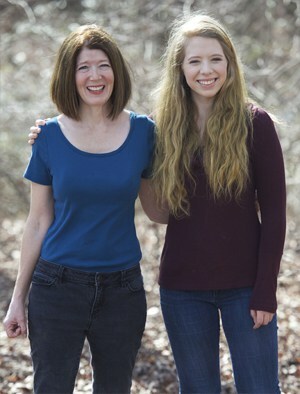 Low-carb, Atkins, LC/HF, ketogenic, gluten-free, Paleo, and Banting diet friendly. Spring and Easter are just around the corner and I’m noticing asparagus piled high in the grocery store produce displays. Green, gorgeous asparagus selling at amazing prices. I couldn’t help myself. I had to buy a few bunches and start experimenting with recipes. I decided to pair the asparagus with leeks. Leeks are a member of the onion (Allium) family. Their flavor is milder and more sophisticated than their stronger flavored cousins, onion and garlic. The softer flavor works well with the asparagus without overpowering it. 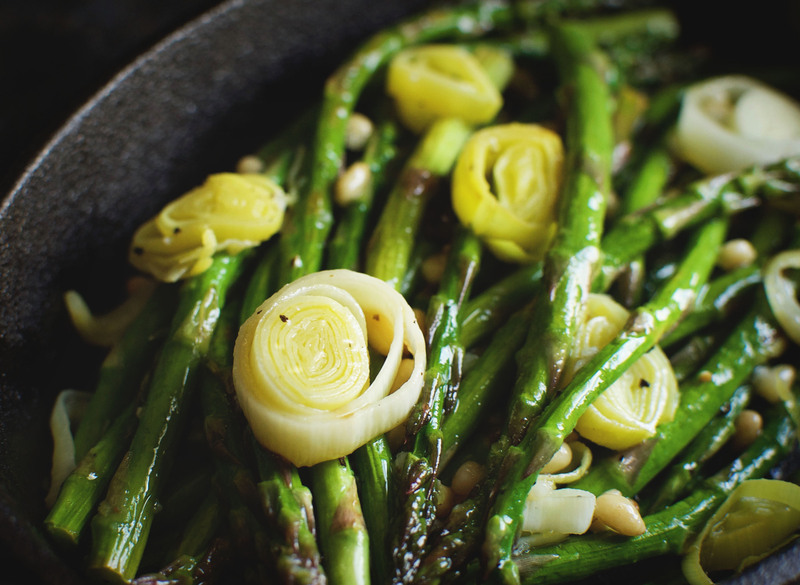 I roasted the leeks and asparagus to bring out the flavors and tenderize the vegetables. Roasting brings out a mellow, nutty flavor in the asparagus and sweetens the leeks. I topped the roasted vegetables with a lemony olive oil based dressing with hints of garlic. The result is a spring salad that’s quick and easy to make and can be made ahead and served later. I like this dish because it’s easy to make ahead for dinner. I love not having to deal with last minute vegetable dishes when I’m entertaining. I’d rather chat with arriving guests instead. I do recommend removing this salad from the refrigerator and allowing it to warm up a bit before serving. The reason for this is that real olive oil partially solidifies when refrigerated. Allowing it to warm to room temperature avoids having olive oil clumps in the final product. This Easy Roasted Leek and Asparagus Salad also makes a perfect dish to pass at a spring event. It’s easy to transport and you won’t need to worry about keeping it warm or reheating it. 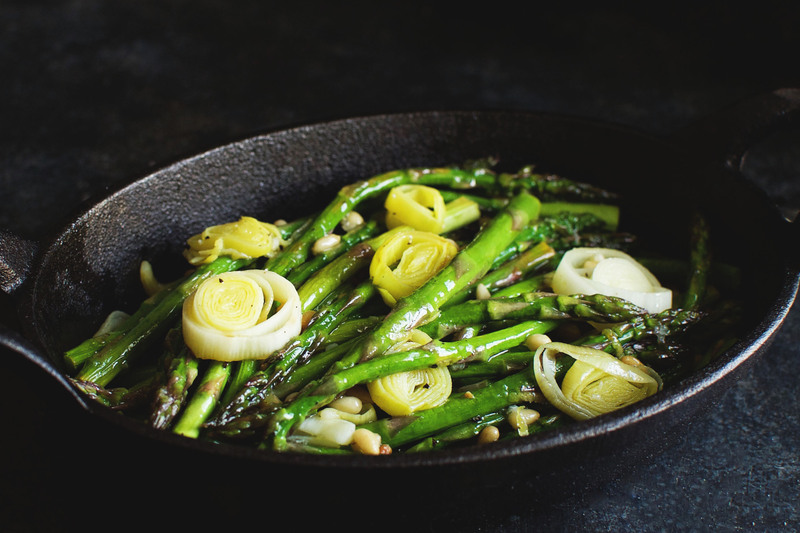 This dish will please asparagus lovers everywhere! Enjoy! This Easy Roasted Leek and Asparagus Salad recipe makes a perfect spring side dish. Low-carb, Atkins, LC/HF, ketogenic, gluten-free, and Banting diet friendly. Preheat oven to 425º F. Have two roasting pans available. Wash and dry asparagus. Cut off the stiff, tough bottom portion of the stalks and discard. Remove top dark green leaf section and root section from the leek. Rinse remaining white and light green portion thoroughly in water. Slice leek crosswise into 1/8" disks. If the leek still contains some dirt, wash the disks in a bowl with cold water. Strain and pat dry. 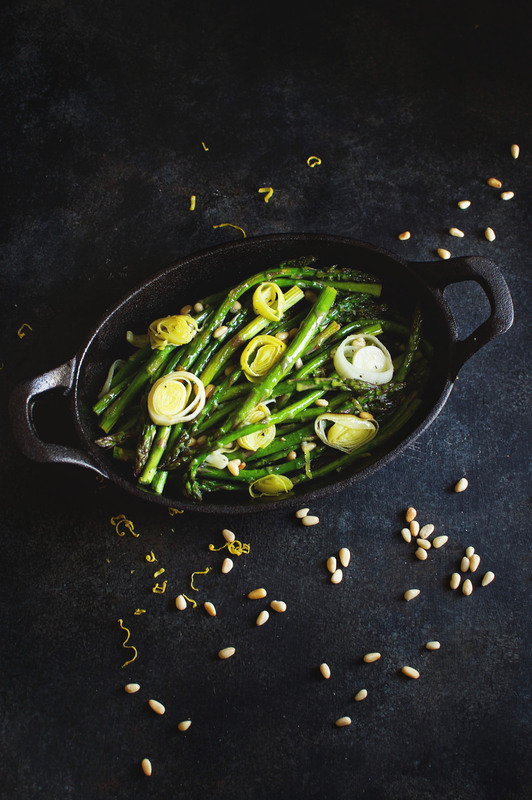 Place asparagus, leek, and olive oil in one of the roasting pans. Stir to coat the vegetables with the olive oil. Sprinkle lightly with salt. Transfer half of the vegetables into the other roasting pan and spread so that there is only one layer of vegetables in each pan. Roast vegetables in the preheated oven for 5 minutes, then remove from oven and stir gently. Arrange so they are in one layer again. Roast in oven for 3-6 minutes longer, or until the edges are brown and they are crisp-tender. Allow leeks and asparagus to cool for about 5 minutes. Transfer vegetables to medium bowl. Sprinkle pine nuts on top. In a small bowl, whisk together olive oil, garlic, salt, pepper, sweetener of choice, and lemon zest. Stream in lemon juice while vigorously whisking. Pour dressing over the vegetables and pine nuts. Toss and refrigerate until ready to serve. Allow the salad to return to room temperature before serving. 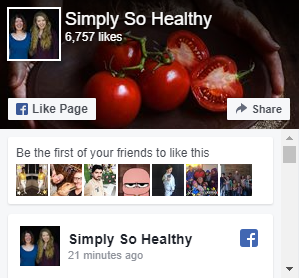 Note: Nutritional information is calculated using the granulated stevia/erythritol sweetener option. Healthy AND pretty, you convinced me to give it a try! This looks so delicious! Yum! Its making me hungry! more veggies please! Wow, this dish looks incredible! 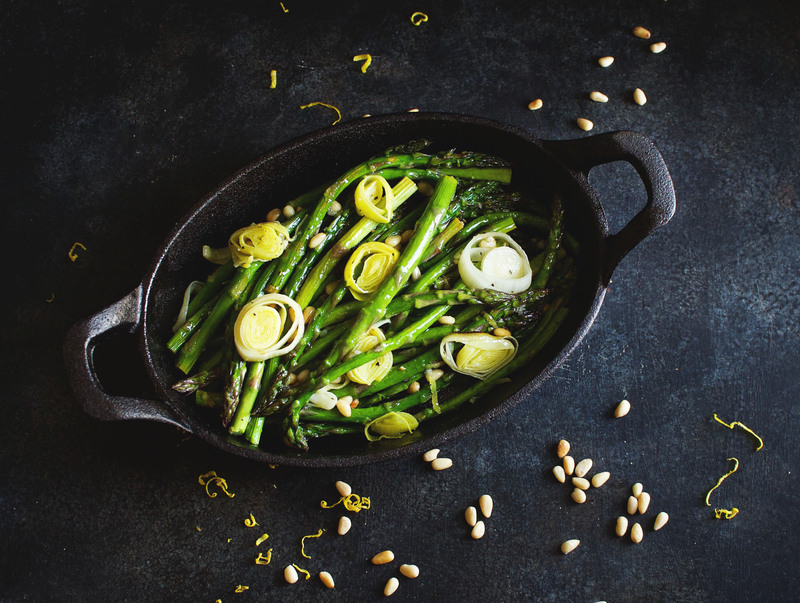 Spring always makes me crave fresh asparagus, and this recipe looks so much better than my usual steaming and serving with a little butter and seasonings. This would make a perfect side dish for Easter.